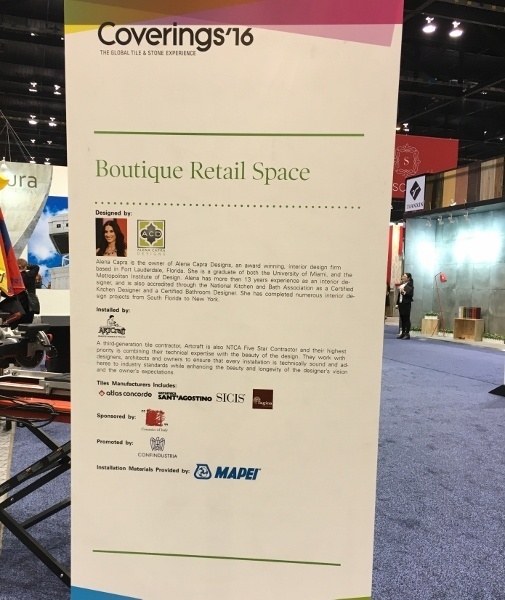 During Coverings 2016, Artcraft Granite, Marble & Tile Company, a third-generation family business, teamed up with Designer Alena Capra, principal of Alena Capra Designs and the 2016 Coverings Industry Ambassador, to create a magnificent retail space for the Installation Design Showcase (IDS). For 80 years, Artcraft Granite, Marble and Tile Company has developed a reputation for quality craftsmanship, technical expertise, and professionalism. The company specializes in custom residential, commercial and institutional tile and natural stone installation and fabrication. Artcraft Granite, Marble & Tile Company has earned the Five-Star Contractor designation from the National Tile Contractors Association (NTCA) by meeting criteria for the highest standards in installation performance, ethics, education and peer review. The company proudly employs Ceramic Tile Education Foundation (CTEF) Certified Installers. 2016 is the second time that Artcraft Granite, Marble & Tile Co., and James Woelfel have partnered with Alena Capra. 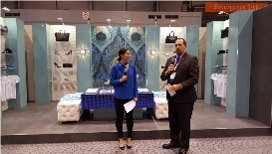 "Designer Alena Capra ... will incorporate a number of trends in tile materials, including 3-D effects, shades of aqua, bold prints and fabric looks, to create a chic retail boutique environment. ... Capra’s design will feature one statement wall in a mosaic peacock print, while white 3-D tile, blue glass tiles and aqua and gray porcelain cover the remaining wall surfaces. The design navigates the challenges of incorporating display areas without visually distracting from the tile." We caught up with Chris Woelfel, Director of Business Development, Artcraft Granite, Marble & Tile Company to learn more about the boutique retail space created with Alena Capra. CTEF: Chris, what kinds of tile installation challenges did Alena Capra’s design represent? CW: Working with Alena Capra is always an exciting opportunity. She enjoys working with many different types of tile as well as a variety of sizes, textures and colors! We invested a significant amount of time planning the project together, discussing Alena’s vision and becoming familiar with her tile selections, prior to even stepping foot on the show floor. That helped us avoid difficult challenges during the IDS. CW: At the IDS the owner is the designer and the installation team! In the real world, we have many other constituents to please. The pressure we experience at the IDS comes from the compressed schedule. CTEF: Alena mentioned making some changes during installation. What were they and what implications did those have? CW: Alena changed the tile selection on the table top in her retail space as well as the color of some of the wall tile. Our team of CTEF certified installers is a flexible group, with years of experience in difficult installations. Making these last minute modifications didn’t catch our team off guard – and knowing changes were probable, we ordered extra tile to make sure we were covered. Our guys also have great senses of humor! CTEF: What could have gone wrong had a less experienced/talented installation team been involved? CW: The reason NTCA Five-Star Contractors are chosen to participate in the IDS, is because they have the knowledge, experience and skill to work under the pressures of a live installation that is scrutinized by anyone and everyone who walks by. Artcraft’s CTEF certified installers are talented craftsmen. They’re a group I like to refer to as “The A-Team” for good reason. CTEF: What observations/comments can you share with us about the value of having Certified Tile Installers involved in your business? CW: At Artcraft, we believe certification honors our trade as a profession. Our employees have shared values – together, we focus on high standards and pride in craftsmanship. Investing in our employees throughtraining and CTEF and ACT certification cultivates a mutual respect for one other and the contributions and talents of each and every employee. CW: We are truly a team working together toward common goals. There’s a real synergy that happens when our team hits the show floor – this is the fourth time we’ve participated in the IDS. It’s still exciting to be part of it and it is fun for the audience to watch! It’s important to note that without the generous sponsorship of several manufacturers this dynamic showcase of talent and materials would not be possible. Manufacturer sponsorship of the IDS is evidence of their support for CTEF certification and in the abilities of NTCA Five Star Contractors. 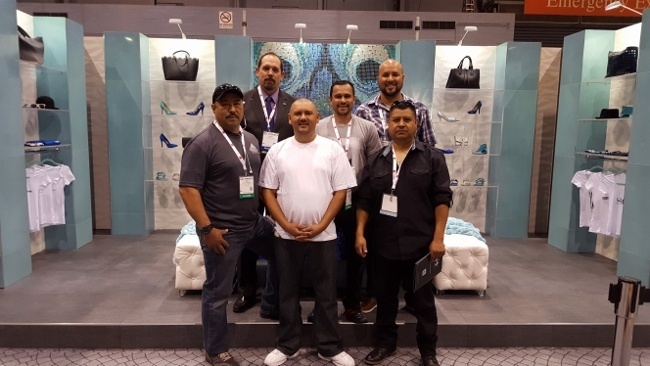 CTEF: Thank you, Chris, and congratulations on an outstanding Installation Design Showcase! 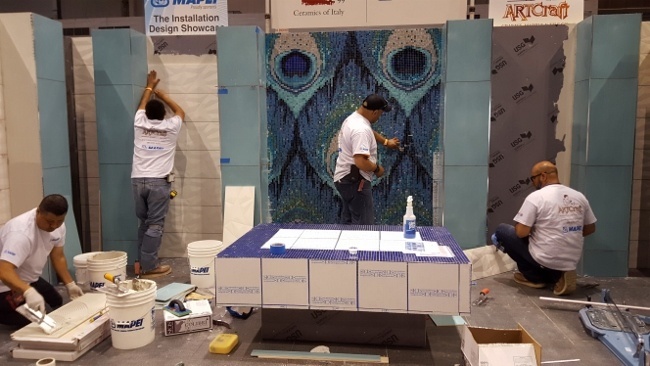 Have you attended Coverings and seen the Design Installation Showcase in person? 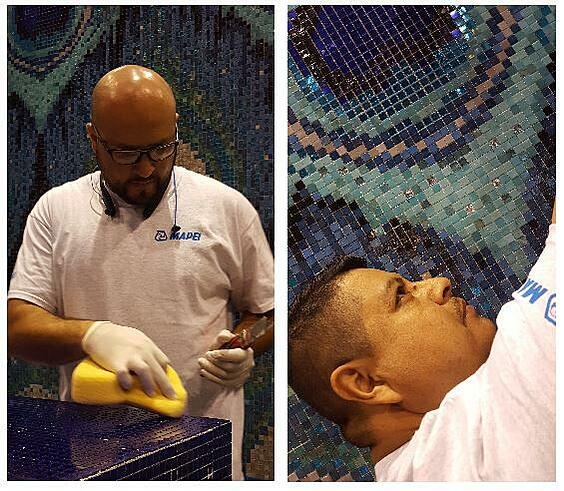 It's an amazing sight that truly makes you appreciate when talented professionals come together to create beautiful tiled spaces. You can, too, with Certified Tile Installers for your next tile project.